The answer is “nil” and the moment we accept such a truth is the moment we start to truly understand why Chad, a Muslim-majority country, has just renewed its diplomatic ties with Israel. And, by extension, the same logic applies to Mali, another Muslim-majority country that is ready to normalize with Israel. 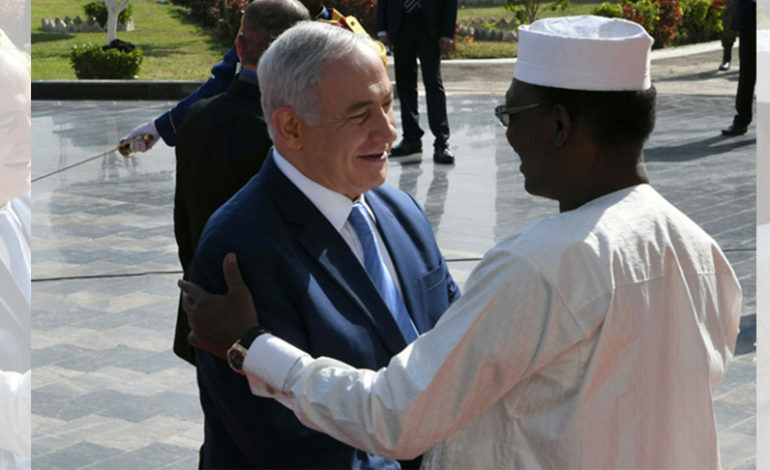 Chadian President Idriss Deby was in Israel last November, a trip that was touted as another Benjamin Netanyahu-engineered breakthrough by the Israeli government and its allied media. In return, Netanyahu, the Israeli prime minister, paid Deby a visit to N’djamena where they agreed to resume diplomatic ties. In their joint press conference, Deby spoke of “deals” signed between Chad and Israel, but failed to provide more details. Netanyahu is keen to schedule Maiga’s trip just before April 9, when Israelis go to the polls to vote in the country’s early general elections. Despite the Trump-Netanyahu love affair at the moment, Israel has no faith in the future of the U.S. in the Middle East region. The current Trump administration, like the previous Obama administration, has made clear and calculated moves to slowly deploy out of the region and “pivot” elsewhere. For years, Netanyahu has pursued an alternative course, which has become the only path for Israel to escape its international isolation. Unfortunately for Palestinians, Israel’s new strategy of seeking separate alliances with U.N. General Assembly members seems to be paying dividends. Israel now hopes that other countries that have historically stood on the side of Palestinians — voting for Palestinian rights as a bloc at the U.N. — will follow the Chad and Mali examples. The struggle between Israel and Arab countries in Africa, according to Dan Avni — a top Israeli Foreign Ministry official during the 1950s and “60s — is “a fight of life and death for us.” That statement was made during a time that the U.S. had not fully and ardently committed to the Israeli colonial project and Israel was in a desperate need to break away from its isolation. 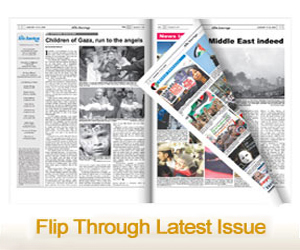 Following the expansion of the Israeli colonial project in Palestine and other Arab countries after the 1967 war, the United States’ unconditional political, economic and military support for Israel has addressed many of Israel’s perceived vulnerabilities, empowering it to become the uncontested bully of the whole region. At the time, neither Africa mattered, nor did the rest of the international community. But now, a new Great Game is changing the rules once more. Not only is the U.S. losing its grip in the Middle East and Africa — thanks to the rise of Russian and Chinese influences, respectively — Washington is also busy elsewhere, desperate to sustain its dwindling global hegemony for a bit longer. The answer? Enticing poor countries, in Africa and elsewhere, with political support and economic promises so that they would deny Palestinians a vote at the U.N. It is no surprise that the governments of Chad and Mali are struggling, not only economically, but also in terms of political legitimacy as well. Torn in the global struggle for dominance between the U.S. and China, they feel pressed to make significant choices that could make the difference between their survival or demise in future upheavals. It is important to note that it is not the road to Tel Aviv that N’Djamena and Bamako are seeking, but rather the road to Washington itself. In Africa, as in other parts of the global South, it is often the U.S., not the U.N., that bestows and denies political legitimacy. For African leaders who enjoy no democratic credence, a handshake with Netanyahu could be equivalent to a political life insurance. So, for now, Israel will continue to walk this fine line, usurping American resources and political support as always, while learning how to walk on its own— by developing a foreign policy that it hopes will spare it further isolation in the future.